Larry Ness was 4-1 on Mon and 5-2 on Tue, bringing him to 205-137 +$48,066 ALL sports since Dec. 1st. He's also 82-54 +$20,570 w/ ALL CBB this year and 80-62 +$12,032 w/ ALL NBA. That = +$32,602 w/ ALL "HOOPS" this season. (He's also on a SWEET 47-29 +$12K run in the NHL.) Five 10* "hoops" go Wed and Larry's going for the 100% SWEEP! The 29-22 Indiana Pacers own a seven-game winning streak and own a 20-6 home record on the season, as they get set to welcome the 35-13 Cleveland Cavaliers to Bankers Life Fieldhouse. 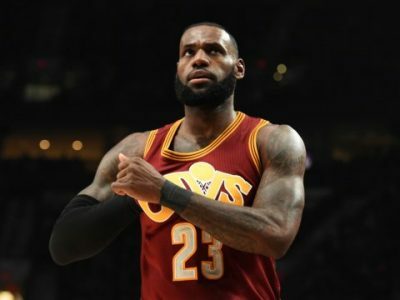 With the return of LBJ, the Cavs have won the East the last two seasons and it’s assumed the Cavs will return to the NBA Finals again this season, for the third straight year (it would mark LBJ’s seventh consecutive appearance!). The Cavs are coming off a dramatic overtime road win at the Washington on Monday night, a victory which snapped the Wizards’ 17-game home winning streak. However, the Cavs went just 7-8 in January. They are 3-0 to open February but Chris Andersen (ACL tear) and J.R. Smith (thumb fracture) are both still out of action for Cleveland plus SG Iman Shumpert sprained his left ankle on Monday night and will be re-evaluated on Wednesday morning. Then again, LBJ (25.9-7.9-8.8), Irving (24.2-5.9 APG) and Love (20.4-11.1) will be on hand. The champions are coming in,” head coach Nate McMillan said. “We don’t know who will be uniform for them, but regardless of that, it’s going to be a good team. We have to be at our best.” The Pacers currently own the No. 6 seed in the East and like the teams above them, are trying to convince the league (and themselves, I suspect) that the team can be a serious contender in the conference come late May. SF Paul George (22.5-6.1-3.3) is an All Star plus center Myles Turner (15.5-7.2) and PG Jeff Teague (15.8-4.1-8.1) have proven to to be quality players on a regular basis this season. George scored 21 points versus Oklahoma City and has now reached 20 points in nine of his last 11 games. Second-year center Myles Turner is in just his second season but has done more than just score and rebound in the Pacers’ seven-game winning streak, as he’s got 14 blocks and 12 steals during that span. Some bad news for Indiana is is that forward Thaddeus Young (11.5-6.1) is questionable with a sprained left wrist (he’s missed the last two games). Guarding Kevin Love won’t be an easy task if Young is out. In fact, Love posted season-highs of 27 points and 16 rebounds against the Pacers earlier this season, although the Pacers won that Nov.16 meeting, 103-93 at Indiana. The catch being, LBJ sat out. I’ll note that the Pacers have won 12 of their past 13 regular-season home games against the Cavaliers but LBJ has only played in ONE of those games. However, I’m backing the red-hot Pacers here, as rumors about Cavs trying to acquire the Knicks’ Carmelo Anthony refuse to die. That can’t be a plus. Meanwhile, the Pacers have stepped up their defense these lat four games of the team’s seven-game winning streak, allowing just 89.8 PPG. Take the home team.